CIS - NC's #1 Choice For Home Automation and Structured Wiring Services! This home is loaded with controls and A/V, including Wilson Audio speaker systems in the theater and the gym. 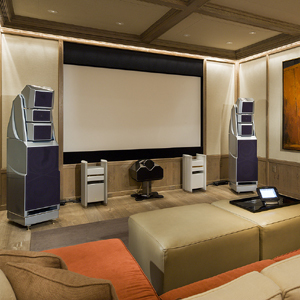 We’ve seen some large home technology installations, but this is definitely one of the most comprehensive—and top-notch for A/V considering there’s not one, but two rooms that contain high-end Wilson Audio speaker systems. It’s not even a mega, mega 20,000-square-foot home, though it does amount to about half of that area when you combine the 8,000-square-foot main house and 2,500-square-foot guest house. But this home is tech-savvy from top to bottom, with nine Middle Atlantic equipment racks throughout the house loaded with brains and brawn. For starters, there’s full Lutron lighting controls, six zones of HVAC control, Jandy controls for the pool, spa and front fountains, security system with pan-and-scan cameras, intelligent multiline phone system, and all of that plus the A/V throughout the house is under the easy operation of a Crestron home automation system. There are 26 zones of audio and 24 zones of video, including a powerful Kaleidescape media server system that’s routed to all the main rooms, bedrooms and gym. 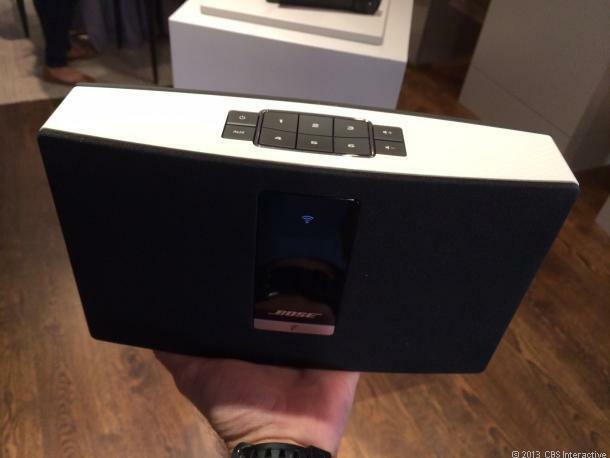 The gym also features those wonderful Wilson Audio speakers to rev things up for a workout. Where Wilson really rocks the house, though, is with its full surround system, driven by mighty Halcro amplifiers, in the dedicated media room. The video is just as sweet, too, with a Meridian projector beaming onto a motorized Stewart Filmscreen masking screen system. There are even outdoor rock speakers and three outdoor subwoofers to cover the outside, where the family can also relax in a fully loaded BBQ area. Of course, Crestron touchpanels are everywhere in the home for truly simple command of all the systems, from all of that lighting down to the motorized TV cabinet doors in the master bedroom. Custom Installation Services, LLC - Charlotte and Asheville NC’s Source For Your Custom Home Electronics and Automation Needs! CIS is Charlotte, NC's #1 Source For Home Theater Design & Sales! 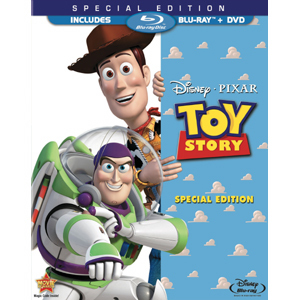 Pixar is at it again with the pristine additions of Toy Story and Toy Story 2 on high-def Blu-ray this week. Pixar’s at it again. Whether you’re looking for razor-sharp demo material as a custom installer or a good reason to sit through some high-def animation with your children, Pixar has always come through with its standard-def and Blu-ray releases. This week is no exception, as we get both Toy Story and Toy Story 2 sequel on Blu-ray for the first time. We can’t wait to see all of the details of Andy’s room and his toys in high-definition, along with the enveloping surround sound. No, the Toy Story movies aren’t in super-wide 2.35:1 format like some more recent Pixar Blu-rays such as Wall-E and A Bug’s Life, but those of you with traditional 16:9 screens (especially projection screens) should still have a blast taking in the game-changing animation of the 1995 original and its 1999 sequel. For a more recent children’s-oriented theatrical release, Fantastic Mr. Fox arrives on Blu-ray format as well this week. Unlike Pixar you don’t get the voice talent of John Ratzenberger (hey, we know he’s not the Toy Story star but we love that he’s in every Pixar movie), but you do get to hear the likes of George Clooney, Bill Murray and Meryl Streep in this Wes Anderson-directed movie. Speaking of Clooney, even if you’re a fan of his films you may have missed the short-lived Men Who Stare at Goats in theaters. Obviously it’s no Up in the Air, but the solid ensemble cast includes Clooney, Kevin Spacey, Oscar-winner Jeff Bridges and Ewan McGregor, and at 94 minutes it could make for a good high-def rental. For an Oscar-acclaimed release this week, check out Sandra Bullock’s performance in The Blind Side—and it doesn’t matter if you’re a football fan or not. If you’re interested in catching up on some TV, the best bet this week is the continuing saga featuring the men and women of AMC’s Mad Men—this week marks Season Three’s arrival on Blu-ray disc. And in case you missed it, the tweeny-bopper fave Twilight got a jump on the traditional Tuesday release date by sending out Twilight Saga: New Moon just after midnight on March 20.